3 in 1 multipurpose safe including Data box. Up to 90 minutes fire protection for paper, computer disks and tapes. 1 x Fixed shelf and 1 x lockable drawer. Optional PAD4 Base Fix Tray option available (included when ordering our installation service). The Phoenix Data Combi 2501k is a 3 in 1 safe for computer data, paper and cash. 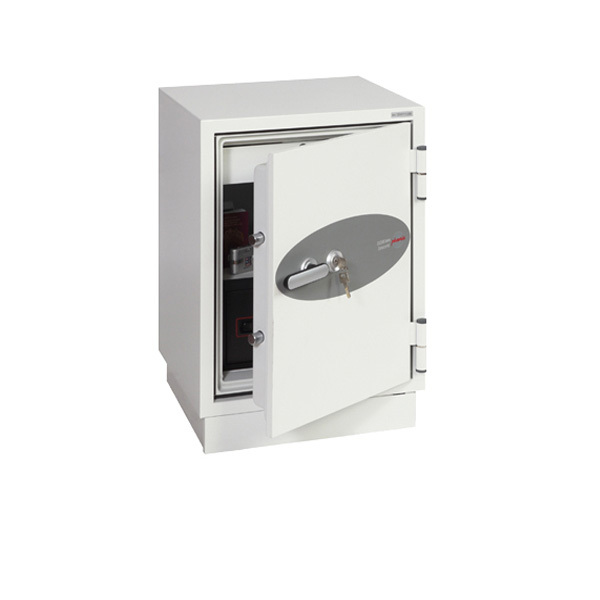 This safe offers 90 minutes fire protection for paper records and there is an internal data compartment for data media such as back up tapes and film.